Here at Aeon we love to keep our guests informed about upcoming events in Paris. Below are a few of the art exhibits that are open now, or opening in the next few days. Enjoy! Celebrate the new exhibition space at the Paris Pinacothà¨que, which opened on January 26, 2011. The first exhibit presents the treasures of the Romanovs, with over one hundred rare works on loan from the legendary the Hermitage Museum of St. Petersburg. Now through May 29, 2011. 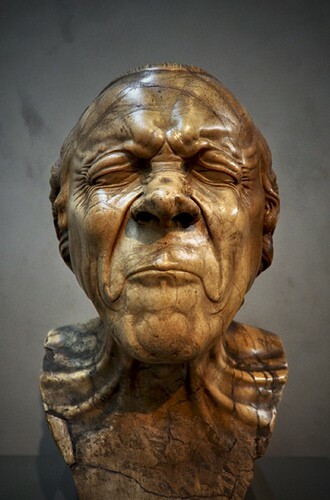 Famous for his series of male heads created in the 1700's, Messerschmidt studied at the Vienna Academy of Fine Arts in 1755. Although initially rejected by art academia, his famed series of expressive male heads has since gained international acclaim posthumously. Now through April 25, 2011. Manet, famous for defying the old renaissance masters with his 'new' modern art style, challenged them with his contemporary modern day paintings. He was adamant about creating art that was â€œnot great art, but sincere artâ€. April 5 â€“ July 3, 2011.